How Does This Foundation Transition Emerging Artists into Professional Adulthood? We often hear about foundations supporting "emerging" artists. It's a funny term. Emerging from what? Some primordial artistic ooze? A creative dry spell? A nice restful nap? And so when we came across the latest round of Leonore Annenberg Fellowship Fund for the Performing and Visual Arts grant recipients, we couldn't help but remove that term from the ephemeral plane and instead think about it in a more practical way. In short, the fund helps young artists navigate their entry into the professional world. They're emerging from a more structured and predictable state and entering a far more chaotic realm. It's a tricky transition, and speaks to the plight of the larger millennial demographic. Saddled with crushing student debt, dicey job opportunities, and the relative lack of wisdom that comes with youth (we know this from experience), young professionals and artists alike need a plan. How, precisely, does the program accomplish this? Well, it depends on the recipient. 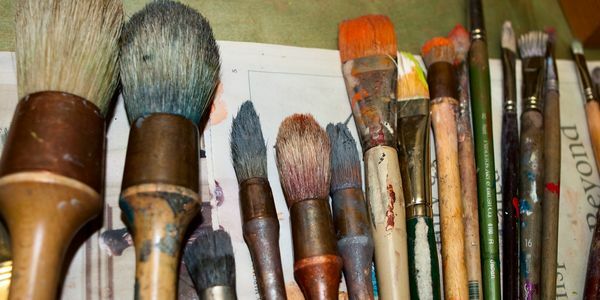 According to the foundation, the $50,000 grants—several of which extend for two years—can help young artists flourish by allowing them to, for example, complete projects, pay for time in the studio, or simply make a dent in their student debt. Flexibility is key, and as any grant recipient will tell you that's a good thing. The foundation selected nine fellows, spanning the fields of classical music, theater, and musicology. The fellows, who are selected from candidates recommended by major cultural institutions including the Julliard School, American Ballet Theatre, and the Alvin Ailey American Dance Theater, are assigned to work with mentors. In short, the program resembles a kind of career development office with the assigned mentor acting as a high school guidance counselor. The program seems to be saying, "Sure, money is important for an emerging artists, but before we hand a 20-year old a check for $50,000, let's make sure goes toward the most constructive use possible." With these grants, the fellowship fund, which is administered by the Annenberg Public Policy Center of the University of Pennsylvania, will have paid or pledged more than $5.5 million in career-development grants for artists over the last nine years.